Looking for inspirational Happy Easter quotes? Want the best happy spring sayings and wishes? Spring has sprung and Easter arrives shortly after. The world is literally abuzz with life. As cute creatures come out their holes and plants start to bud. The snow is almost gone and you almost smell the possibilities and opportunities of spring in the air. There is an intangle excitment and happiness that comes with Spring’s arrival. Can you feel it? Are you ready for rebirth, new life and all the best spring has to offer? Whether you’re the religious type or not, Easter still holds significance. Celebrated shortly after the Spring Equinox, everything about the history of Easter, even the bunnies and the chocolate eggs, symbolizes rebirth. It’s not hard to draw parallels between the earth’s yearly cycle to our own lives. We have ups and downs, failures and successes. That is simply how things are. But Easter and spring remind us that no matter how bad things get, how hopeless and dead they may feel, life is just around the corner. That even the dreams we have for our lives that are buried deep in our hearts may still come to pass and become reality. That’s the power of springtime, that’s the story of Easter for all of us. 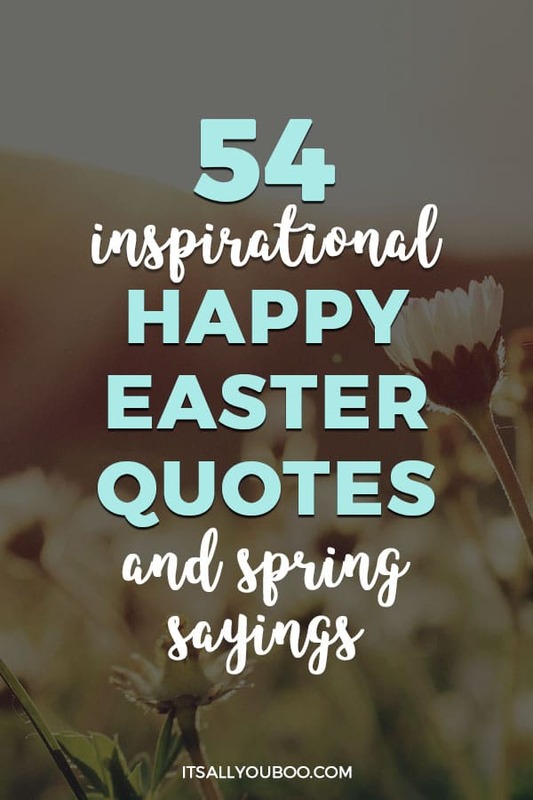 So, to celebrate the season of hope and rebirth, here are 54 inspirational happy easter quotes and spring sayings. May your spring be glorious and filled with joy. 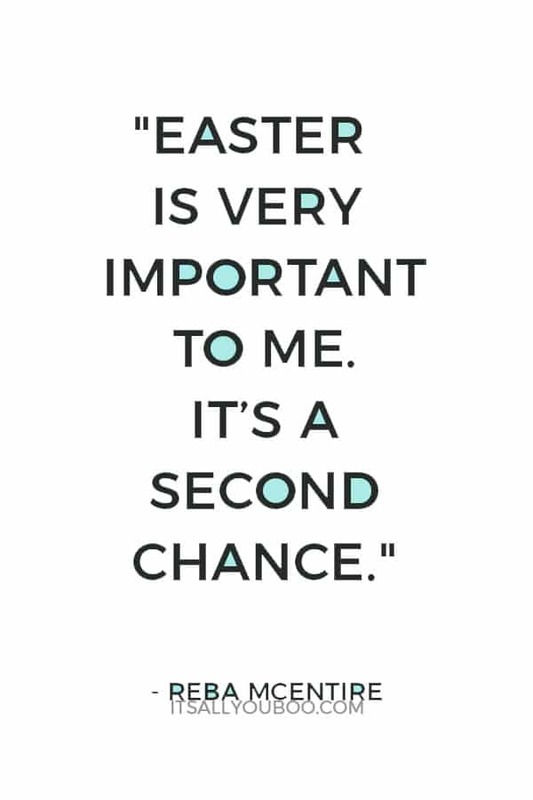 What is Easter all about if not second chances? No matter what you believe, spring and Easter mark a new season of rebirth and resurrection. 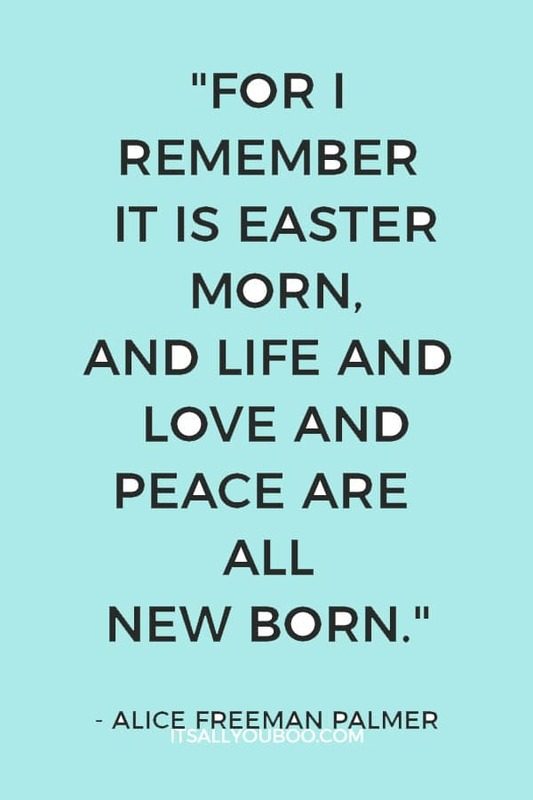 The following inspirational Happy Easter quotes illustrate the promise and celebration of rebirth! How will you use this second chance? Can you feel it? Life is coming awake all around you. Birds are literally chipping and new life stretches towards the sun. What was dead and dormant is now awake and alive. This collection of inspirational Easter quotes shares the story of new life and new creation in springtime. How will you embrace your new life this spring? Can you feel the hope and the joy of springtime? There is happiness in the air surrounding Easter. A sense of hope and renewal, a reason to just smile and be happy for your future. Easter reminds us to be positive no matter what. 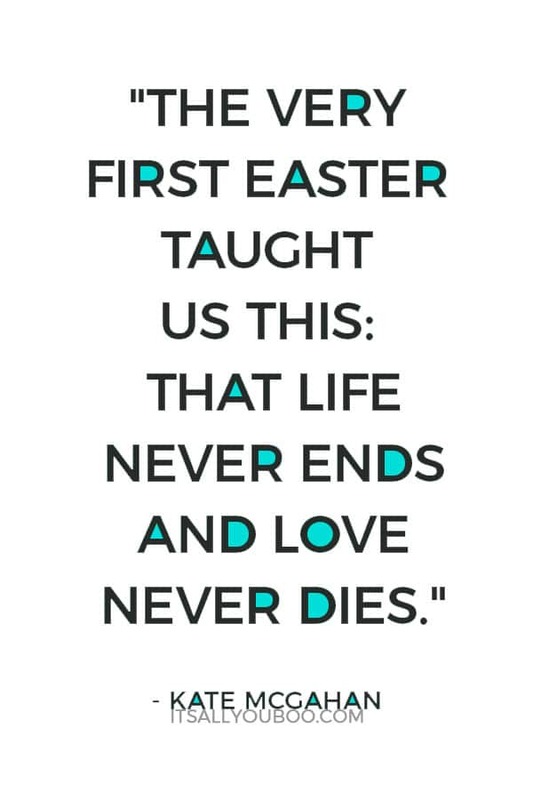 The following Happy Easter quotes remind us to have hope that life and love are eternal concepts. That life is eternal and endures no matter what. What are your Easter traditions? Do you eat too much chocolate, paint eggs, or perhaps share a giant meal with your family? No matter how you spend the day (in reverence or celebration), you’ll appreciate the following funny Easter quotes and sayings. Each of them makes us smile at the memories of Easters past. Whether you’re religious or not, you likely know the story of Easter. This celebration is all about death and rebirth. What died and was buried does not stay dead and nature illustrates this unending cycle. The following inspirational easter quotes share the message of Ressurection Sunday. How will you rise in rebirth this year? Tis’ the season for rolling up your sleeves and getting into the dirt. Digging and planting, so we can sow and reap in the Autumn season. Springtime and Easter is a time for gardening, our gardens but also our lives. We spring clean our lives so we can experience personal growth. 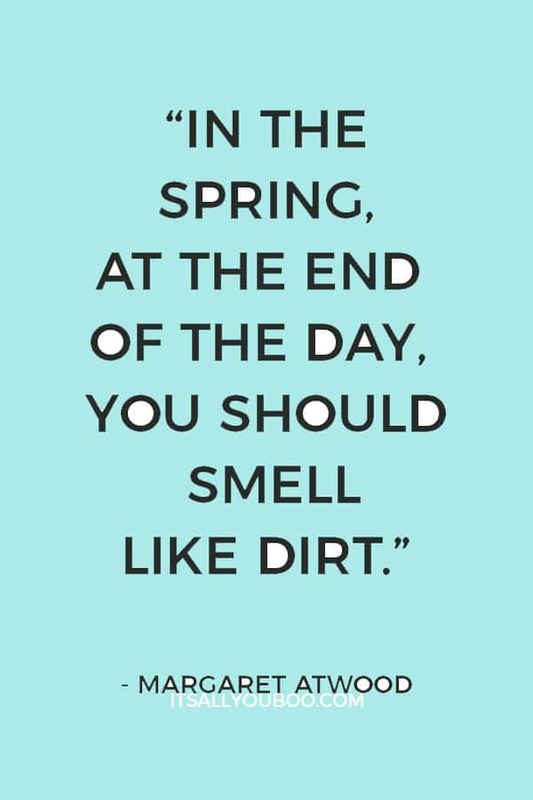 This collection of inspirational spring sayings encourage us to plant and garden. The world is in bloom in springtime and isn’t it beautiful? From cherry blossoms to tulips, spring is a sensory season of warmth and beauty. The following inspirational easter quotes and spring sayings celebrate the return of flowers. Will you take time to smell the roses this spring? As the snow melts and the temperatures rise, you know that spring is almost here. Is there a more exciting season than the arrival of spring after winter. This final collection of inspirational spring sayings welcome the changing seasons and the call of spring. Are you ready to be outside and open your windows to all the sunshine? This is the season for rebirth and second chances. Start your own journey this spring and Easter by cleansing your mind of negativity. 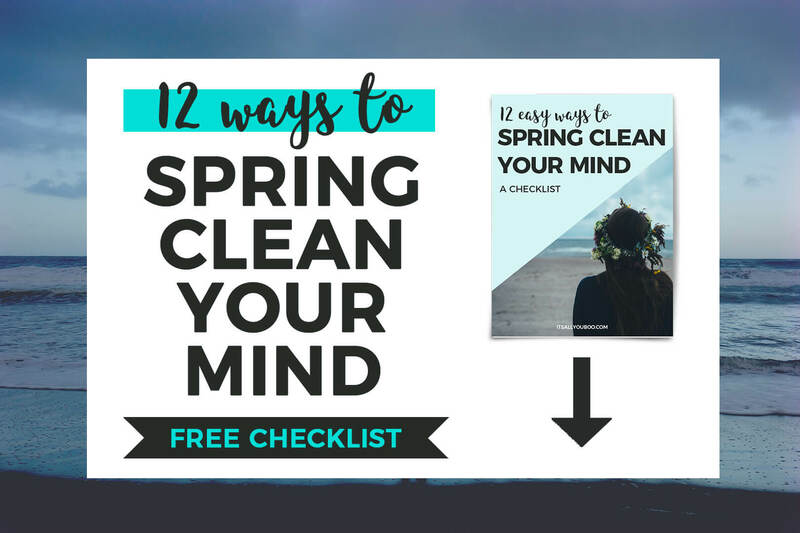 Get your free Printable Spring Clean Your Mind Checklist. Spring is also the season for tidying up our lives, to let go of the past and move forward. 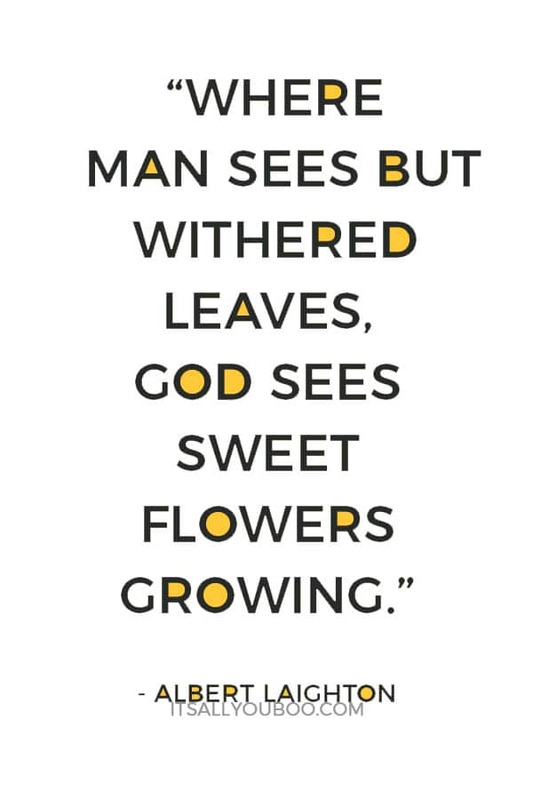 It’s hard to enter a season of growth when you’re trapped or buried under the weight of the past. Be like a new seedling, bursting through the earth and reaching for the sun. Your past does not define you, your struggles or failures are not who you are. Believe in yourself, be confident and go forward into this new year ready to achieve more. That’s what Easter and spring mean to me. A chance to start over, to begin again. 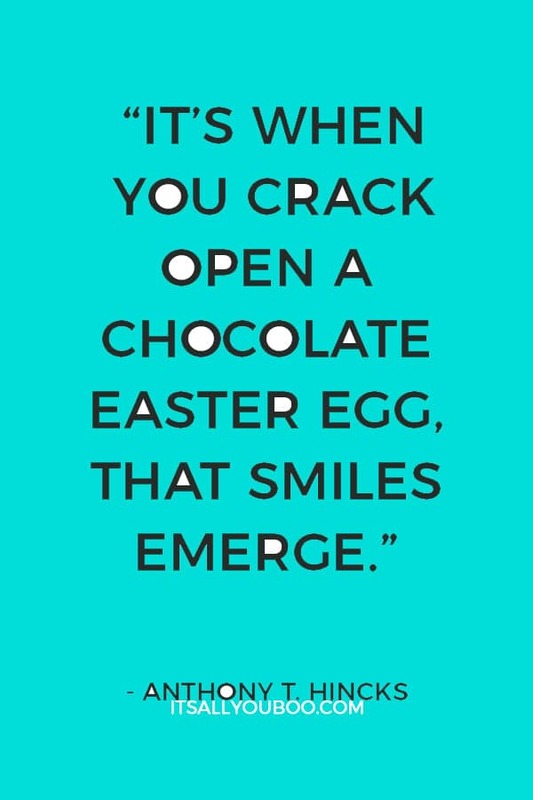 What inspirational Happy Easter quote do you love? These quotes are very inspiring! Easter really is the start of something new. It really is a new start. The perfect invitation to get back on track. I love the quote about the second chance! I can’t believe Easter is right around the corner! It will be here before we know it! Who doesn’t love a great second chance? The best part is, it happens every single year. Happy Easter! how inspiring is this! I love #35 the most as I can really reflect with it! thanks for this! I love all things gardening in springtime! Soil and soul! I love the renewal that Easter represents. This is a great collection of quotes! Happy Easter Lauren! And yes to all the renewal and rebirth it brings us. Love these quotes! So inspiring! 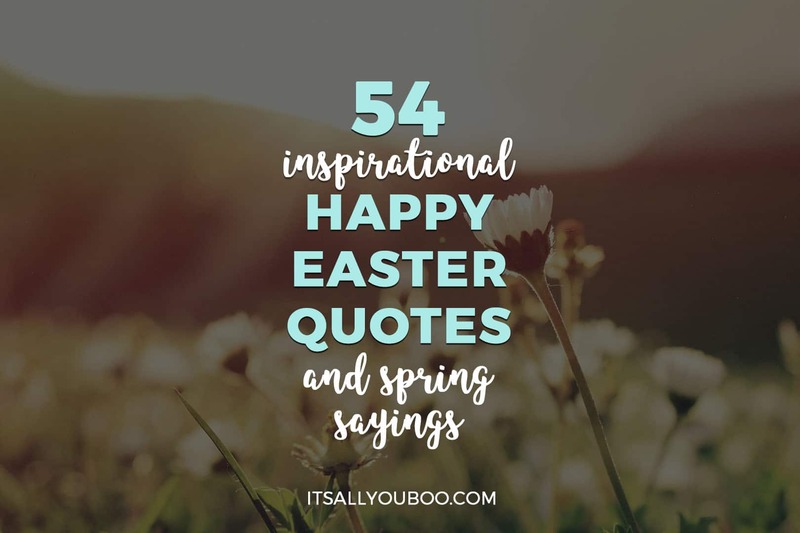 Glad you’re enjoying these Inspirational happy Easter quotes! I love the “freshness” that spring brings with it. I love the quotes about a second chance. I feels like a new start that graciously comes around every year if we take the opportunity to embrace it. It’s like the world is wrapped in a dryer sheet. There really is something about springtime. Yes, we need to embrace this new start, shake off winter and push forward! 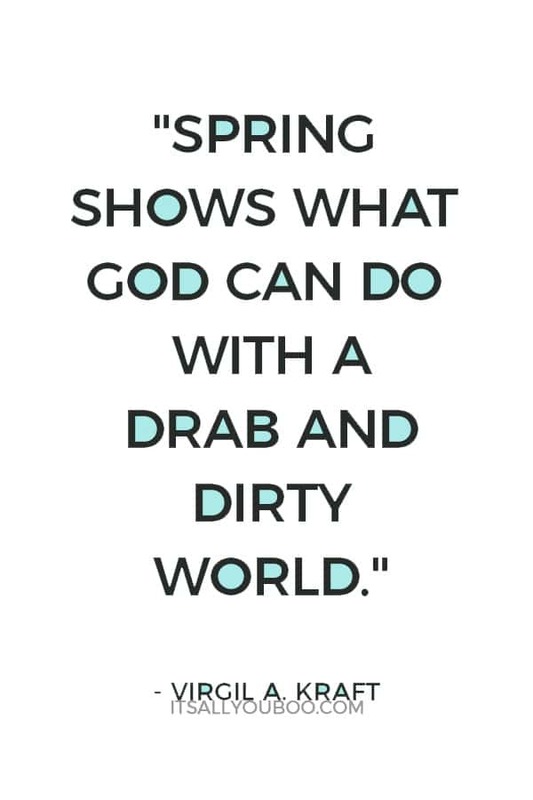 Great choice in an Easter quote! I so agree it’s all about hope!